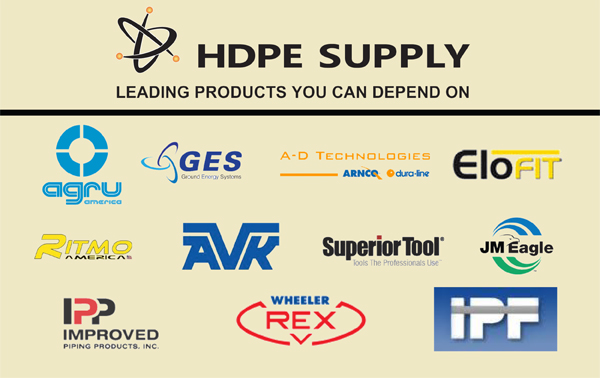 Hdpe Supply offers net 30 terms to qualified businesses. Net 30 terms are for business customers only. Requests for net 30 terms will be reviewed and approved by the Hdpe Supply Credit Department. Net 30 terms are not guaranteed to all businesses. Open Account Credit Application Forms: APPLY TODAY! Hdpe Supply Accepts Checks or Wire Transfers for NET30 Accounts. For business customers with established Hdpe Supply credit, payment terms are net thirty (30) days from the date of invoice. All credit extended by Hdpe Supply to customer, and the limits of such credit, is at Hdpe Supply’s sole discretion, and may be reduced or revoked by Hdpe Supply at any time, for any reason. Hdpe Supply reserves the right to charge a convenience fee for late payments. Hdpe Supply further reserves the right to charge customer a late payment fee at the rate of one and one-half percent (1-1/2%) of the amount due for each month or portion thereof that the amount due remains unpaid, or such lesser amount as may be permitted under applicable law. All payments must be made in U.S. dollars. Zoro shall have the right of set-off and deduction for any sums owed by customer to Hdpe Supply. If customer fails to make payment within thirty (30) days of invoice, or fails to comply with Hdpe Supply’s credit terms, or fails to supply adequate assurance of full performance to Hdpe Supply within a reasonable time after requested by Hdpe Supply (such time as specified in Hdpe Supply’s request), Hdpe Supply may defer shipments until such payment or compliance is made, require cash in advance for any further shipments, demand immediate payment of all amounts then owed, elect to pursue collection action (including without limitation, attorneys’ fees and any and all other associated costs of collection), and/or may, at its option, cancel all or any part of an unshipped order. Customer agrees to assume responsibility for, and customer hereby unconditionally guarantees payment of, as provided herein, all purchases made by customer, its subsidiaries and affiliates. Each of customer’s subsidiaries and affiliates purchasing from Hdpe Supply will be jointly and severally liable for purchases with customer, and customer is also acting as agent for such subsidiaries and affiliates. Customer hereby grants to Hdpe Supply a first priority purchase money security interest and/or chattel mortgage in the products and any accounts receivable or cash from resale thereof until full payment is made to Hdpe Supply. Customer agrees to file, and it permits and authorizes Hdpe Supply to file, any financing statements or other appropriate documents with its governmental authorities to perfect the validity, priority, and enforceability of Hdpe Supply’s lien or security interest. Customer agrees that any credit balance(s) issued by Hdpe Supply will be applied to customer’s account within one (1) year of its issuance. IF CUSTOMER HAS NOT APPLIED FOR OR REQUESTED THE CREDIT WITHIN ONE (1) YEAR, ANY REMAINING CREDIT BALANCE(S) WILL BE SUBJECT TO CANCELLATION, AND Hdpe Supply SHALL HAVE NO FURTHER LIABILITY.